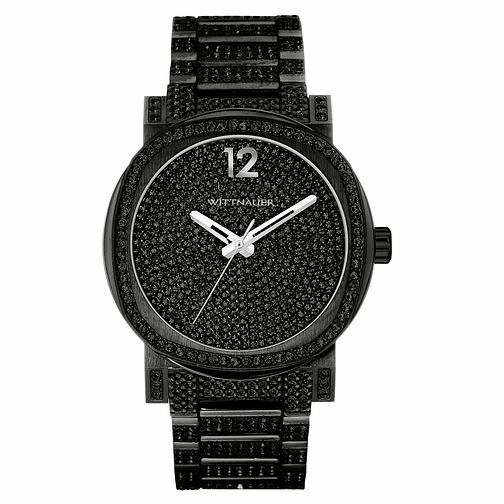 This show-stopping and sleek masculine design from Wittnauer offers the wearer a watch studded in pave crystals. This all black design ensures it is smart and fashionable without being over-stated. Even though this watch is intricately crafted it still features 50m water resistance, ensuring it is practical yet on trend. Wittnauer Aiden men's black stone set bracelet watch is rated 5.0 out of 5 by 1.